GOT7 really Hard Carry the show in Singapore! It’s been a Long wait for IGOT7 since the boys came to Singapore for a concert last June. This is the 3rd time Got7 came to Singapore this year. The boys started off the song with 2 ballad songs followed by a talking session which the members congratulated Jackson for winning award in china with staff preparing a cake for Jackson. Got7 went off to the next segment which the fans had left a message on the post it note which includes the request from the fans such as dancing a girl group song. Bam bam was asked to dance and he chosen to dance TT by twice. Bam Bam and Yugyeom showed a difference version of PPAP dance . Jackson was asked if he can give a kiss to individual members, immediately he said yes and gave everybody a kiss. 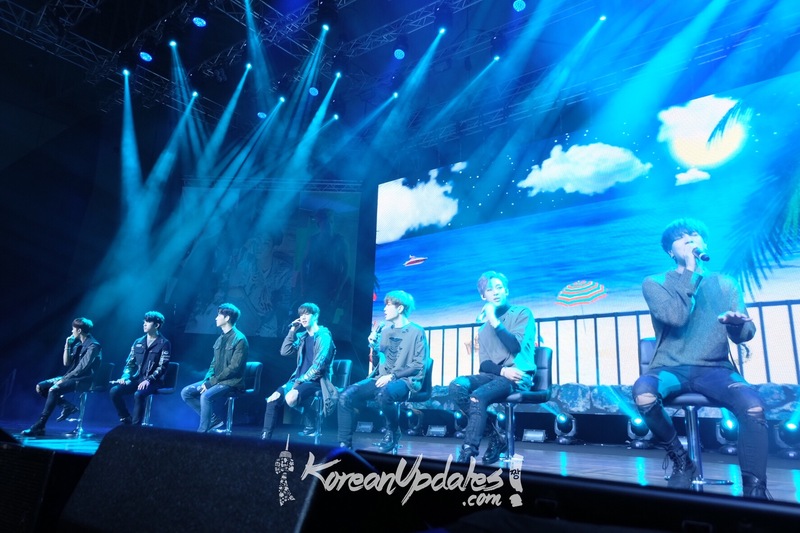 Got7 sang songs such as “Fly”, “If You Do” and the song of the night was “Hard Carry” from their latest album, Flight Log: Turbulence. KoreanUpdates would like to thank TAP and IME for inviting us to the fan meeting.